Chapters International is thrilled to announce a very special conference that brings together four internationally recognised leading educators for two days of exploring the power of learning through inquiry. Inquiry as an approach is well recognised for its potential to engage students as active, creative, thoughtful learners through the design and investigation of questions and problems. Central to inquiry is an emphasis on agency. Learning experiences are designed in ways that promote ownership, self-regulation and responsibility. The strength of an inquiry based approach lies not only in its emphasis on curiosity, questioning, investigation and problem solving but also in what it can help reveal and amplify about learning itself. As learners inquire, they can strengthen the dispositions and skills so necessary to thrive in the 21c. To approach teaching and learning through inquiry can mean a substantial shift in the roles traditionally carried out by teachers. Inquiry puts the learner firmly in the drivers seat. Teachers now require a complex repertoire of roles as they design, challenge, guide and coach learners towards deeper understanding. This conference is a unique opportunity for teachers working in the early, primary and secondary years as well as those in leadership roles with responsibility for supporting teachers professional growth. 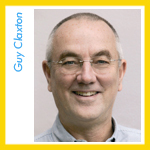 The event will open with a keynote by Guy Claxton, emeritus Professor of the Learning Sciences at the University of Winchester, best-selling author and developer of the renowned 'Learning Power Approach';. Joining him will be Kath Murdoch, known across the world for her work in the field of inquiry - particularly in the early and primary years. We are delighted to have leading inquiry educators Kimberly Mitchell and Trevor Mackenzie complete the team of experts we have brought together to offer this wonderful opportunity for teachers. Whether you are new to inquiry as an approach or looking for ways to improve or strengthen your existing practice, this conference will be sure to both stimulate and satisfy your inquiring mind. Key Note: How About "Live Adventurously! The Learning Power Approach To Educating For The Future"
on the 23rd November 2019. INCLUDES: Certificate of Participation for 16 Professional Development hours, Lunch and 2 coffee breaks. All Participants will be attending the Keynote with Guy Claxton and the Panel Session on Day 2. Participants will choose one Thread per day, total of two Threads. The choice of Threads is on a first come first serve bases.